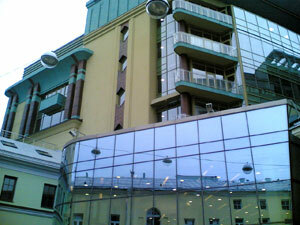 The unique business center with area from above 40000 sq.m is in the heart of Moscow — 5 minutes from the Kremlin. Leading international and domestic corporations have estimated magnificent design of an interior and advantage of a free lay-out of extensive premises. Besides 7 floors of magnificent offices in a complex the cinema, fitness-center, restaurant and underground parking place settle down 3 zone VIP cinema.